More video content has been uploaded to the web in the last 30 days than the major U.S. TV networks have created in the last 30 years. You are 53 times more likely to rank on the first page of Google when you use video. Keep it short ‘n sweet; 67% of consumers prefer video under 60 seconds. It’s important to get the tone right: 75% of consumers have not bought a product because the voiceover annoyed them; 83% prefer an informal and chatty tone. Almost 50% of web users look for a video before visiting a store. 57% of retail brands say their average order values increase when users watch just one video they’ve produced, and sales totals double when people have watched 10 or more videos. 92% of people who consume mobile videos share them with other people. Customer testimonials…customers spend 31% more with businesses which have good customer testimonials. Demonstration videos…74% of users who watched an explainer video to learn more about a product or service subsequently bought it. Tutorials…“how-to” searches are up 70% year-over-year on YouTube. Video on Twitter is 6 times more likely to be retweeted than photos. 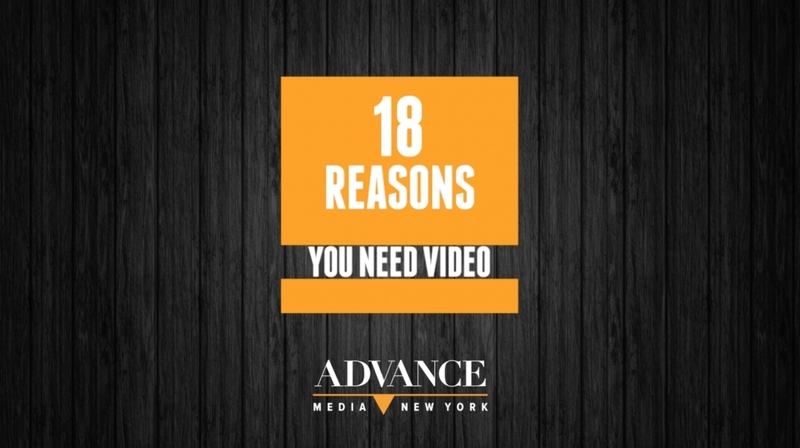 Online video ads receive 18 times more viewer engagement than TV commercials. 75% of executives watch work-related videos on business websites at least once a week, 65% of executives will visit a website after viewing a video, and 39% will call a vendor. Including video in an email leads to a 200-300% increase in click-through rate, and using the word “video” in an email subject line increases open rates by 19% and click-through rates by 65%. People spend on average 2.6 times more time on pages with video than without, and viewers retain 95% of a message when they watch it in a video compared to 10% when reading it in text. And no worries if you don’t have a fancy camera. Your smartphone is probably just fine to get started. We typically use a professional grade video camera, and the iPhone, Samsung Galaxy or Google Pixel work in a pinch. You can do it alone or enlist the help of a full-service digital marketing agency who will help you bring your vision to life and make the most of your video by crafting a strategy to get it out to your target audience. For more on video marketing, check out these other blogs: Why video is an essential part of your marketing plan and How consumers & technology are changing the video landscape.